If you flip through pages of history, you will come across numerous women warriors who led into battles with their troops and fought them with vigor and courage. These women warriors faced off against enemies while brandishing swords and guns while fighting battles. The partial list of famous women warriors runs from Artemisia I of Caria to Syrian queen of Palmyra, Zenobia. Although outnumbered in the battle by the men, these women warriors have left an indelible mark in history. 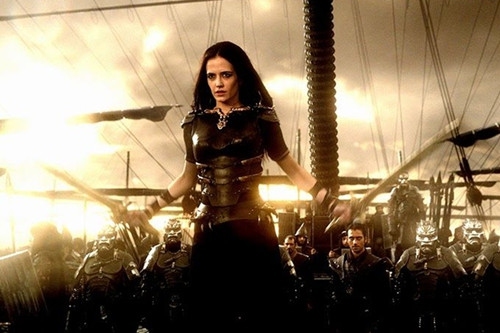 Artemisia I of Caria was one of the women warriors who was the ruler of Ionia, as a client of Persia. She offered counsel to Xerxes – King of Persia to avoid the sea battle with Greeks, however, he disagreed. She then commandeered 5 ships in the battle of September 480 BC. But in the battle, the Greeks were close to capturing her. To escape from the Greeks, she sank one of the her ships, making the Greeks think that she was fighting on their side. Then the Greeks didn't attack her ships and left her alone. The Persian King, Xerxes also thought she sank an enemy ship and praised her bravery. After this battle, Artemisia tried to convince the King to retreat to Asia Minor against the advice of the generals. However, the king didn't listen to her. Persians ultimately suffered a great defeat in this battle. Fu Hao was one of the wives of King Wu Ding of the Shang dynasty and also served as a high priestess and military general. She led many military campaigns and defeated their long time enemy Tu, in a single battle. 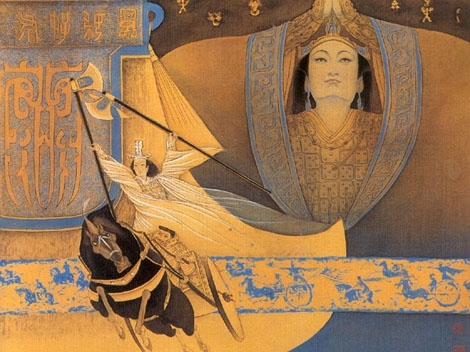 She also led campaigns against Yi, Qiang and Ba, which was one of the largest scale ambush in Chinese history. She had 13000 troops, which made her one of the most powerful military leaders of her time. In 1976, with all her treasures, her tomb was found in Yinxu, Hennan Province. 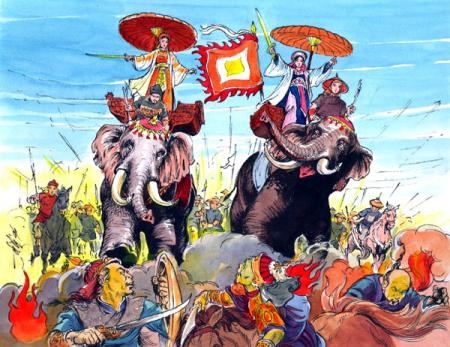 As national heroines of Vietnam, the Trưng sisters repelled Chinese invasions for 3 years, in the role of military leaders. Their names were Trưng Trắc and Trưng Nhị. They fought off Chinese unit from their village by forming an army of women. Within months, they took about 65 citadels from the Chinese and liberated Nam Viet. Eventually they became the Queens of Vietnam and continue to prevent Chinese attacks for over 3 years. However, the Trung sisters finally lost the battle. To retain their honor, they committed suicide in jumping in the Hat River in 43 AD. Boudicca was the wife of the King of the Celtic tribe Iceni, but she became one of the women warriors after becoming a widow. The Romans invaded her kingdom, tortured her and her daughters. She gathered her tribe and others to form an army of 100,000 and destroyed cities such as Camulodunum, Londinium and Verulamium. Over 70,000 to 80,000 were slaughtered, however, finally she was defeated by the Roman forces. It is not very clear what happened to her, she either died due to illness or committed suicide. From 250 to 275 AD, Syria was governed by one of the famous women warriors - Septima Zenobia, the eighth wife of King Odaenathus of the Palmyrene Empire in Syria. After Odaenathus' death in 267, she became the queen of Syria. By 269, Zenobia conquered Egypt and led a very famous revolt against the Romans. She led the armies wearing full armor on horseback and defeated Roman legions. Arabia, Armenia and Persia all allied themselves with her. In 271 AD, she lost to Aurelian after a battle of 4 years and she was taken as a hostage to Rome. Finally she was exiled to Tibur, where her daughters married into influential Roman families and thus her lineage continued to become important for 3 centuries in Roman politics. 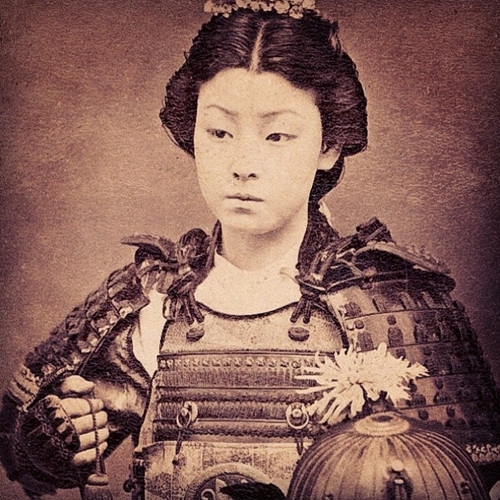 Known as one of the most famous female samurai in Japan, Tomoe Gozen was not only a strong archer, a swordswoman, but a fearless, respected and beautiful woman. She was given the title of respect ‘Gozen’ by her master. She had fought along with male samurais in the Genpei War, from 1180 to 1185. She liked riding wild horses, and was known to lead men to battles and be victorious. The last battle she fought was the Battle of Awazu, where her master was killed. After this, she retired, giving up her sword. It is believed that she married and became a nun after her husband died. In 1178, Tamar or Tamara was declared the heir and co-ruler by her father – Giorgi III, the King of Georgia. She was very popular and an outstanding ruler, getting her the reputation of “King of Kings and Queen of Queens”. Almost all the Muslim neighboring states were brought to their heels during her reign. She was the commander of the army and brought her kingdom to its political, economic and cultural apex. From 1201 to 1204, she annexed Armenian capitals, occupied city of Kars and helped found the Turkish city of Trabzon. She died in 1213. Joan of Arc, known as "The Maid of Orléans", is considered a heroine of France. She was born in a peasant family, at Domrémy in north-east France. Joan said that she had visions which she claimed to be from God, asking her to take back France from the English. She went to the Crown Prince of France with these claims, and Charles VII, who was then uncrowned, sent her to the Siege at Orleans. She was able to lift the siege in 9 days, which made her very famous. At the age of 17, she commandeered the entire national army and also led Charles VII to his coronation. On 23 May 1430, Joan of Arc was captured by the Burgundian faction which was the ally of the English. On 30 May 1431, she was burned at the stake. 25 years later, an inquisitorial court debunked the charges against Joan of Arc. She finally became one of the 9 secondary patron saints in France. Grace O’Malley was born in an aristocratic and sea-faring family. 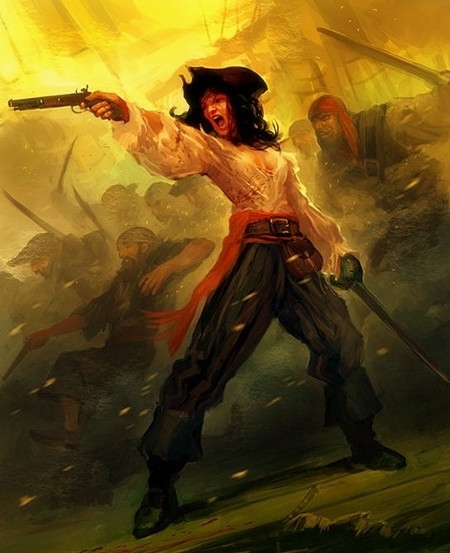 She was also an Irish Pirate Queen in the 16th century. 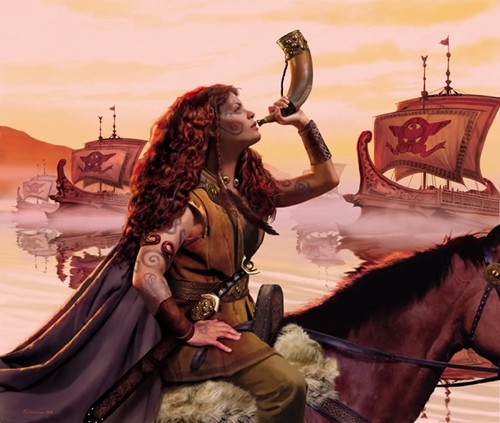 She fought in battles against competing clans and English forces along the Irish coast. She defeated a lot of enemies as well as inspired a nation by her exploits. She was very fierce and legend claims that she melted iron and poured it on the heads of her enemies. Nakano Takeko was another female samurai from Japan. She studied Literary and Martial Arts. She later joined the Boshin War, which lasted from January 1868 to May 1869. She led the Women’s Army in the Battle of Aizu and fought with a Naginta, which is a Japanese Pole Arm. She was shot in the chest by the Ogaki domain of Imperial Japanese Army. To prevent defiling of her body, she asked her sister to cut her head and bury it. It was buried under a pine tree at the temple in present-day city of Fukushima, where a monument is made in her honor. Server responsed at: 04/21/2019 10:22 a.m.